Looking to value an antique piece or purchase one? There are many antique dealers, but finding the right one can be a challenge. Look up the yellow pages or ask family and friends who are into antiquing to provide some references. If you are looking to sell an item, always research the value. It’s a good idea to get at least two or three price comparisons. Check out the antique dealer’s reputation and how many years they have been in business. The Internet offers a lot of information, including customer reviews. The Better Business Review rating is definitely one you can trust. Visit a couple of antique stores. Get a good look at the dealer’s collection as well as the pricing. Pay close attention to the workmanship, especially if you are looking to buy an antique. Ask for references. It is acceptable to ask the dealer for references from some clients. Customer service and satisfaction is a good indication of how the dealer conducts business. Carrocel fine furniture store and restorations is among the top antique dealers in Toronto. 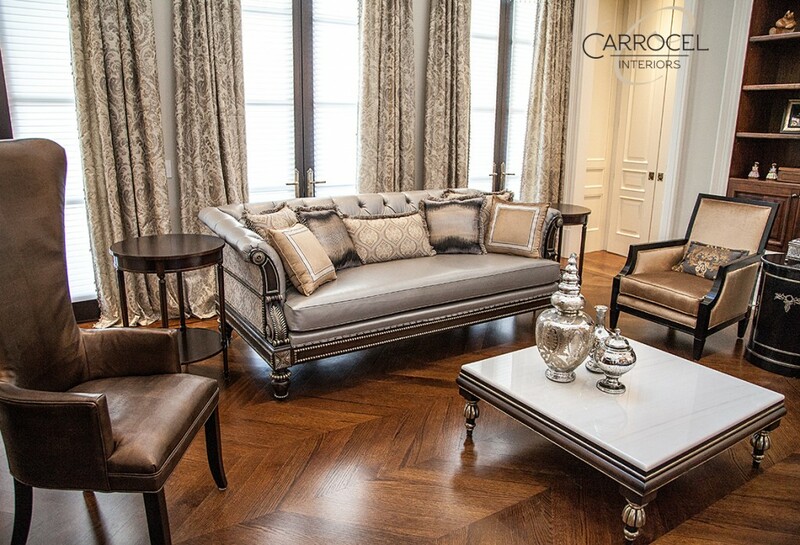 Carrocel furniture have been in business since 1983, providing more than 30 years of stellar service. We have a huge 7,500 sq. ft. showroom with a wide variety of unique and timeless pieces, and suites for you to browse through. If you need help finding (or valuing) a particular item, a knowledgeable and courteous furniture specialist is always on hand to attend to your needs. As experienced and reputed antique dealers, you can count on Carrocel furniture store to look out for your best interests when you’re buying or selling. We also make fine antique furniture to meet your unique needs as well as repair and refinish pieces to restore their beauty. Endurance: We ensure that your antique furniture continues to be a part of your home or office for a long time. Beauty: We want your vintage furniture should take your breath away every time you look at it. Pride Of Ownership: We want you to have strong pride of ownership and the peace of mind that comes with knowing you have invested well in a piece of furniture. Highest Standards Of Service: To give you the best value, we aim to meet the highest standards in everything we do. Exceptional Workmanship: Our skilled and experienced artisans have a deep appreciation for fine furniture. They know how to make it and how to make it better. Finest Materials: We offer the finest woods from around the world, top quality fabrics and leathers, all selected specially for your furniture. Fair Pricing: Whether you are buying or selling, we ensure you get the best value. Convenient Delivery: Each piece is prepared and wrapped for safety. We deliver to local destinations in Toronto and the GTA, and ship to anywhere in the world. Customer Satisfaction: Our work is not complete until you are completely satisfied. Call Carrocel at 416-999-2525 or contact us online and connect with an established antique dealer in Toronto. Hello…we are moving and have no room to take this piece with us and need to sell this credenza. We believe it is between 150-200 years old, is quite a sizable piece and in immaculate shape. Could you advise? Thank you for the comment, unfortunately we do not purchase furniture pieces privately. Best of luck with your move and we hope you enjoy the new home! I’m interesting in selling two very fine tables, a regency brass inlaid table and a George III Mahogany Oval-shaped table. Unfortunately, we do not purchase furniture privately. Hello and thank you for your request. At this time we are no longer purchasing pieces privately. We source our collection world wide and already have a substantial variety of unique items to choose from. Best of luck with the sale of your table!